As an entrepreneur, when it comes to selling your business, preparation is paramount Once the decision has been made to sell the business, as an owner you have two choices, go to market immediately or seek advice and ensure you take the correct steps to maximise the value of the business you’ve invested so much time and money in. The first step to take is to seek a trusted partner to work with. They should be able to assess your business to provide a valuation based upon its current state and market conditions. 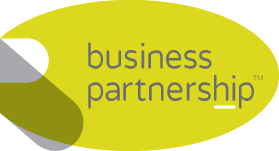 At Business-Partnership, we can provide a comprehensive report outlining how the business scores against the 8 key drivers of value. This combined with the valuation is the foundation to begin the journey of Exit Planning. Develop an action plan based upon the initial valuation. Set out the main priorities and timelines for achieving the goals. Break the goals down into manageable actions that can be completed and provide you with a sense of achievement that you are progressing. As you would expect, financial performance is key, if a business is only breaking even you should not expect to achieve high offers. Focus should be placed upon increasing profits through improving your business efficiency, when was the last time you conducted analysis of your administration costs to determine costs that have increased? Again, Exit Planning is key, a buyer will be dubious if there is only one years improvement shown, yet if the improvement is over a couple of years, it shows a positive trend. A buyer will expect to see professionally prepared accounts and also a history with a reputable accountant. Alarm bells begin to ring when accounts are presented from multiple accountancy practices as an element of doubt begins to creep in on the numbers. Depending upon the size of the business, a set of audited accounts gives a prospective purchaser a higher level of trust in the numbers and this translates into a higher multiple potentially being offered. Keep focused on your business, now is not the time to slow down and relax. It is important to ensure the business has good systems in place that are repeatable. The equipment needs to be maintained as per the schedule. Your team need to remain engaged and will soon start to notice somethings in the wind if your behaviours and actions begin to change. Again, this is where your trusted adviser can work with you to hold you accountable. The above are just a few examples of things that need to be focused upon to provide you with a business that has the opportunity to achieve its maximum value upon exit.